Open Badge Passport is a free, easy to use service, where you can receive and store your Open Badges safely and share them with whomever you like and wherever you like. Start earning Open Badges right after creating an account! You can find badges in OBP’s Gallery that you can apply for from all over the world. Discover new possibilities and create different paths for your Open Badge journey! Open Badge Passport is certified by IMS Global and follows the 2.0 version of the standard. System maintenance on Oct. 31. Badge Finland network's kickoff meeting in Helsinki on Nov. 24 2017. Three courses coming up in November! 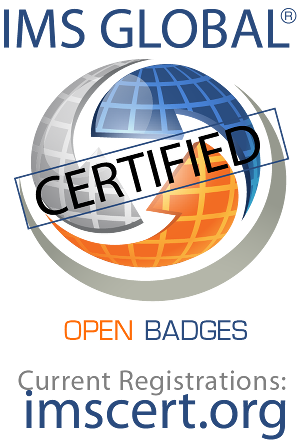 As the concept of Open Badges is spreading across the world, the standard has also been updated to version 2.0. Summer is finally here and so are this year's Badge Summit and ISTE Conference & Expo! Open Badge Factory and Open Badge Passport platforms will take part in both events. A new feature will be updated to Open Badge Passport, which enables organisations using Open Badge Factory to advertise their own badges in Passport's Gallery.